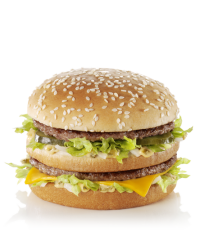 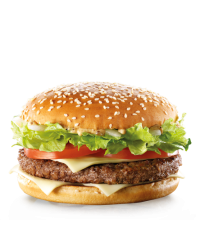 Two 100% beef patties with lettuce, onions, pickles, cheese and our unbeatable Big Mac sauce - all i.. 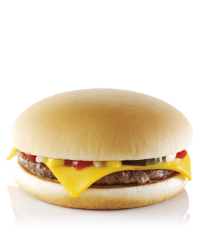 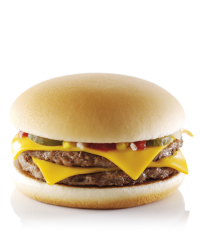 The simple classic made with a 100% beef patty, cheese, onions, pickles, mustard and a dollop of Hei.. 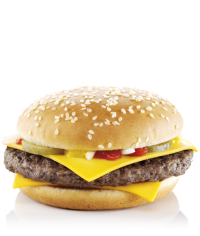 The simple classic made with two 100% beef patties, cheese, onions, pickles, mustard and a dollop of..
A quarter pound*, 100% beef patty with two slices of cheese, onions, pickles, mustard and a dollop o..
Mc PROMO Burger 100% beef patty with square cut lettuce, onions, two tomato slices, Big Tas..